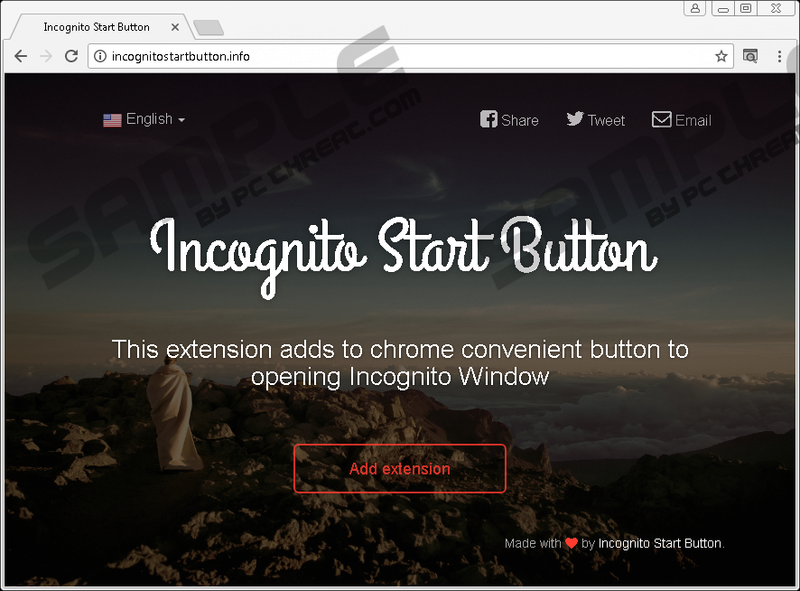 Incognito Start Button is a completely redundant extension that appears to offer the exact same feature that is already offered by the Google Chrome browser. That is surprising, considering that the add-on, at the moment, is only compatible with Google Chrome. Since there is no use for this tool, it is unlikely that users would install it fully knowing it or understanding how the add-on works. Although it has an official download page, the chances are that it is spread via malicious installers that could potentially be introduced to you via redirects. Of course, if a third-party installer is involved, the unreliable extension – which we classify as a potentially unwanted program (PUP) – must be downloaded along with third-party software. It could be malicious, and it might require removal. As you might have guessed it already, we advise removing Incognito Start Button from your browser, and the sooner you do this, the better. If you are interested in learning more before you get rid of the PUP, keep reading. If you have downloaded Incognito Start Button, you must have noticed a suspicious icon attached just on the right of the address bar. If you click it, a new window is opened. This window is identical to the one you would access by clicking “New incognito window” in the Chrome menu. You could also launch this mode by tapping keys Ctrl+Shift+N. Obviously, Incognito Start Button is completely useless because it provides you with the same service that is already integrated into the browser. So, why was this add-on created at all? The chances are that its creator has ulterior motives. For example, it is possible that intrusive tracking cookies are installed along with it to spy on you and leak personal information. The potentially unwanted program could be employed by unreliable advertisers who are seeking information to enhance their own services and, possibly, learn more about users before they are exposed to misleading and unreliable third-party content. In reality, there is not enough information about Incognito Start Button to know exactly how it works, but it is clear that it does not deserve space on your operating system. Due to this, we strongly recommend removing this add-on ASAP. Removing Chrome extensions is extremely easy. The good news is that all you need to do is delete Incognito Start Button extension. We also added instructions showing how to erase cookies, and you should not skip this step because, as discussed previously, it is possible that intrusive cookies were placed along with the extension. That being said, it is unlikely that Incognito Start Button is the only unreliable piece of software that you need to get rid of. Quickly perform a full system scan to check which other infections might be active. If there are too many to deal with, or if they are too complicated for you, install reliable and up-to-date anti-malware software. This software will automatically erase all infections at the same time. If you keep it installed, it will also continue protecting your virtual security in the future. Are you interested in learning more? Add your questions to the comments section, and we will try to help you as soon as possible. Enter chrome://extensions/ into the address bar. Click the recycle bin linked to the unwanted add-on. Mark the box representing cookies. 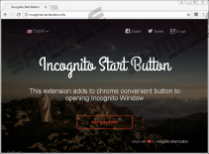 Quick & tested solution for Incognito Start Button removal.